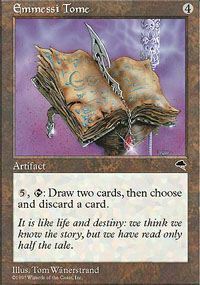 Reveal all cards the chosen player draws as they're drawn. 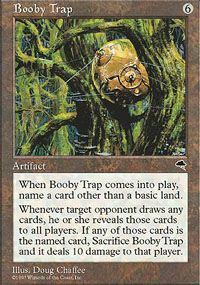 When a card drawn by the chosen player is the named card, sacrifice Booby Trap to have it deal 10 damage to that player. 3: Remove target creature you control from the game. 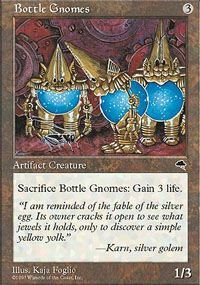 3,Tap: Name a card. 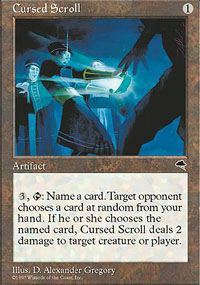 An opponent chooses a card at random from your hand. Reveal that card. 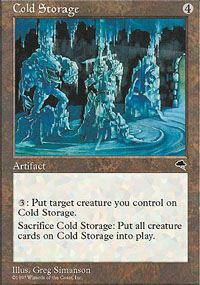 If the card is the named card, Cursed Scroll deals 2 damage to target creature or player. 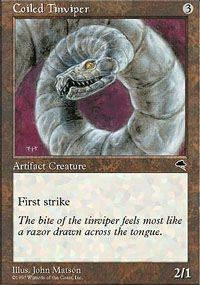 4,Tap: An opponent chooses target creature he or she controls. 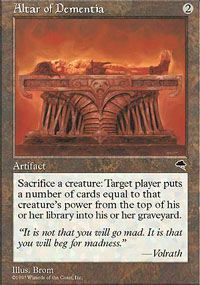 Put a creature token into play that's a copy of that creature. The creature token has haste. Remove the creature token from the game at end of turn. Play this ability only any time you could play a sorcery. 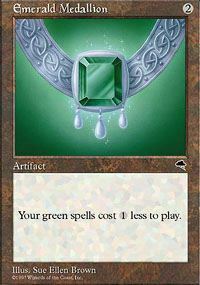 Green spells you play cost 1 less to play. 5,Tap: Draw two cards, then discard a card from your hand. 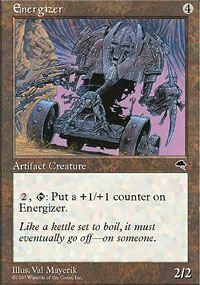 2,Tap: Put a +1/+1 counter on Energizer.